The education sector is heavily regulated with strong governance and financial pressures. Increasingly complex regulations make it a challenging time for everyone in the sector. Understanding which tax incentives to take advantage of, and which to avoid, can be a minefield without specialist help. Our specialist education sector team provides audit, accounting and tax advice to Independent Schools, Colleges, Universities, Teaching Schools, Academies, Local Authority Cheque Book Schools, Nurseries and Pre-Schools, helping to optimise finances. We are knowledgeable on the issues that you face and can help to provide valuable, timely and reassuring advice and support. Our proactive approach helps to identify any possible issues ahead and helps you to plan effectively to implement efficient growth plans. With a partner-led approach, we can support bursars, governors, heads of finance and business managers alike. The Academies sector has grown to become one of the most dynamic areas of education and with this comes significant risks, challenges and responsibilities. While academy schools have more financial freedom and autonomy over the curriculum, they are under continual review to ensure efficient and effective use of public finds. 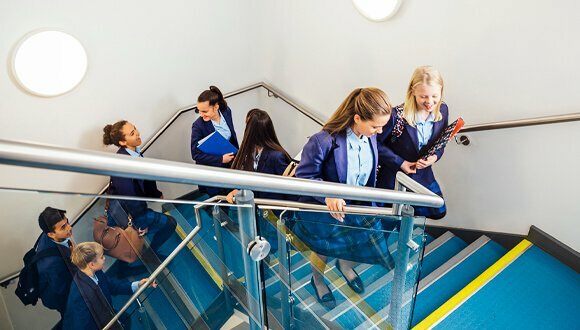 We offer academy schools a great deal of support and advice in establishing effective structures and modes of operation, starting with moving from a School to an Academy or Multi Academy Trust (MAT). 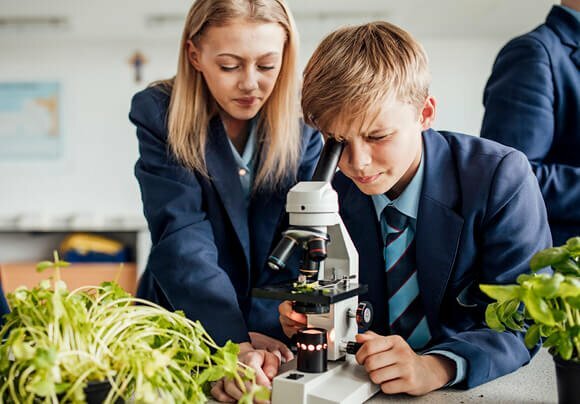 We will undertake due diligence reviews of the financial, governance and funding implications of the conversion of your school to ensure the conversion is viable and in the best interest of the school. Our advisory services for academies offer guidance on trading within an academy or trading subsidiary, help to choose an appropriate accounting software package with implementation and training, and advice surrounding VAT. We can help to ease the pressure on the governors to complete this role of delivering assurance. Our specialists can attend any audit committee meetings as required. All academies and Multi Academy Trusts need the assistance of accountants and specialist VAT advice to ensure they meet their obligations and reclaim the VAT they are entitled to. We can help you to decide on registering for VAT, partial exemption issues, treatment of grants and ongoing compliance. Our specialists are on hand to attend any Trustee meetings as required. We also have a dedicated website designed to assist with all VAT queries with Academy Schools. Our statutory accounts preparation ensures Companies Act, Charities Act,Academies Accounts Direction and Charities’ Statement of Recommended Practice (SORP) compliance. We also offer support to the internal accounts function and can provide year end statutory audit and preparation and of academies accounts returns. We will also audit the Teachers’ Pension Scheme and End of Year Certificate (EOYC). We can provide you with an independent opinion of your financial situation and recommend any necessary adjustments or improvements to your controls and processes for future years. The Accounts Direction explains the elements to include in your academy trust’s annual report and financial statements and the accounting treatments required. We will use this model format to ensure consistency of treatment between academy trusts and to ensure your compliance with the latest guidance. Our support with your Academies Accounts Return, as part of the funding agreement with the Secretary of State for Education, will help ensure you meet your reporting obligations. The DfE asks academy trusts to complete the return so they have full accounting information as individual trust financial statements do not provide the consistent information required as per the financial reporting manual (FReM). Click here to read testimonials from our current academy school clients. Teaching schools are strong schools that work with others to provide high-quality training, development and support to new and experienced school staff. Launched in 2011, they are part of the government’s plan to give schools a central role in raising standards by developing a self-improving and sustainable school-led system. A teaching school alliance is led by a teaching school and includes schools that are benefiting from support. The funding body, the National College for Teaching and Leadership (NCTL), requires evidence that all the teaching schools within an alliance make an appropriate level of contribution. This makes it possible to identify the individual efforts that make up the alliance’s performance whenever its activity is reviewed. The alliance must submit an annual report to the NCTL which details what work has been carried out, and the achievements made. School Direct was developed as a response to demand from schools to have greater control and influence over the training of teachers. School Direct offers two types of training places – the School Direct Training Programme (tuition fee) and the School Direct Training Programme (salaried). Teaching school alliances may apply for various grants throughout the accounting period and are required to submit timely reports to the National College for Teaching and Leadership’s (NCTL), summarising the impact of the grants received. Teaching schools currently receive an annual grant known as core funding. This is paid directly to the lead school. It will enable the lead school to build the leadership and administrative capacity to lead the teaching school alliance. Schools and Internal Teacher Training (ITT) providers, as the beneficiary of the funding, will be responsible for ensuring that the funding is being spent for the purposes intended. 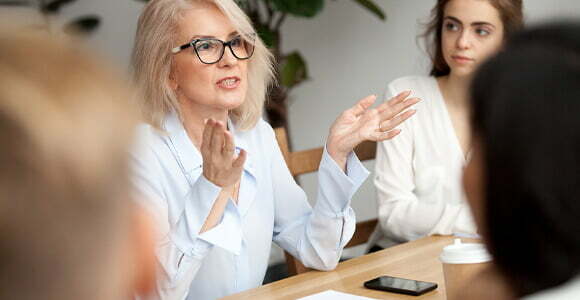 ITT providers, along with the lead schools, are expected to have good governance and internal controls in place to ensure financial sustainability. The NCTL reserves the right to request financial information from the ITT provider and lead schools at any time. Failure to act appropriately will lead to withdrawal of accreditation of the ITT provider. The School Direct grant offer letter to the ITT provider states that the grant income and expenditure must be audited and the external auditors must issue an ‘Annual Certification of School Direct (Salaried) Expenditure for the Year’ in which they are satisfied that the grant conditions have been met. Independent schools face growing financial pressure and regulatory changes and require support that goes beyond compliance and reporting issues. There is increasing emphasis on public benefit and the production of transparent financial conduct, as well as dealing with the general affordability of private education, and balancing campus enhancement with realistic fees and bursaries. Our experienced educational team delivers practical solutions to support the development of your Independent School and overcome mounting financial pressures. As part of our independent schools’ service we can advise on fee collection methods and managing outstanding fees. We will also advise on tax efficient fundraising, Gift Aid and indirect taxation in addition to the tax aspects of charitable trading. With the specialist knowledge and experience required our team will carry out the annual audit of the teachers’ pension contributions. With rapid changes in funding and regulation of Higher Education our specialists can help to improve efficiencies and enhance business performance. Many colleges are now required to manage their funding lines and working capital cycle more carefully than ever before. With pressures such as unaffordability of pension schemes, continued pressures on their cost base and the need for greater efficiencies whilst receiving reduced funding, trusted financial advice is essential. We are seeing many colleges converting to Academies joining MATs. As a provider of children’s day care facilities, you will require additional help from professional advisers who understand the regulations surrounding the industry. There are many pressures around this area of the Education sector including government policy, the debate to make childcare affordable, and the introduction of the Early Years Grant. We are experienced in the finances required to set up a nursery, how they can be funded, dealing with payment via tax-free childcare vouchers and different billing patterns. We can help with issues such as balancing the Early Years Grant (EYG) to increase occupancy but maintain good margins, deciding which age groups to accept, and looking at managing cash flow from term paid income. Our cash flow forecasts will provide insight into the future based on current child occupancy, staff costs, future plans and regular spending patterns. Based on our full-service offering to the education sector you can have complete peace of mind that your educational establishment is fully compliant with changing regulations and requirements. We pride ourselves on continually investing and training our team to keep you up to date with sector developments. Visit www.academyvat.co.uk for VAT guidance for your academy school. For further information on our Academy Schools service, speak to Richard Hurst our Academies expert on 023 8046 1258.